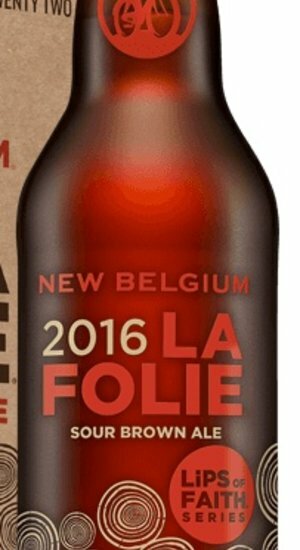 La Folie, French for "the folly," is a beer steeped in New Belgium brewing tradition. This wood-aged, sour brown spends one to three years in big, oak barrels, known as foeders. And when the beer finally hits the glass, La Folie is sharp and sour, full of green apple, cherry, and plum-skin notes. Pouring a deep mahogany, the mouthfeel will get you puckering while the smooth finish will get you smiling. Not a beer for the timid, La Folie is a sour delight that will turn your tongue on its head. Find out why it's considered one of the best sour beers around.